Andre Quaglia is a Department Head at Tecumseh Vista Academy, Ontario Canada: "I am inspired to improve student learning and prepare young adults to become the leaders of tomorrow. Advocating the use of mobile technology to extend learning outside the traditional classroom is my passion. My aspiration is to encourage educators to use effective pedagogy that is not device-specific. This will enable students to demonstrate ingenuity by knowing how to complete tasks using a variety of technology tools available." Personal electronic devices bring a multitude of opportunities to a Bring Your Own Device (BYOD) classroom. A recent challenge is trying to model desktop applications with a graphical user interface that looks very different from smartphone apps. 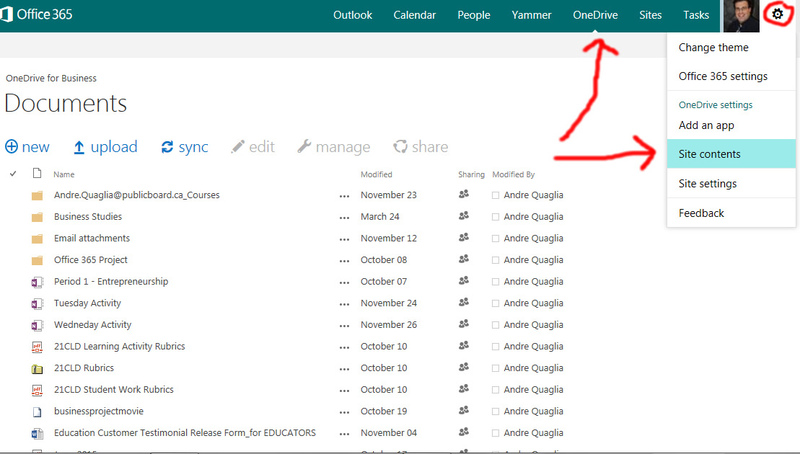 The example below shows a visual screen capture of OneNote (desktop) compared to OneNote (smart phone app). One of the goals listed in my Annual Learning Plan is to establish a classroom website using Office 365 Sites. My vision focuses on providing a blended learning solution using a variety of digital tools instead of focusing on a primary tool as in the past. This shift in strategy will help support my Bring Your Own Device strategy in the classroom. So how can I make my vision a reality? One of the goals listed in my Annual Learning Plan is to establish a blended learning solution using Office 365. I want to combine my knowledge obtained over the past several years as a member of the GECDSB Office 365 pilot group and the Microsoft Innovative Education Expert program. I had an opportunity to provide workshops with colleagues at Westview Freedom Academy and Harrow District High School during the final days of the previous school year. The goal of my presentation was to build on essential Office 365 skills taught earlier by the dedicated GECDSB @14DLT Digital Learning team. 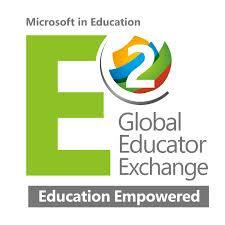 Here is a link to my Office Mix presentation regarding experiences at Microsoft E2 (part 2). As a side note… I decided to give Office Mix an official first try! An add-on for Microsoft PowerPoint, Mix is a simple download from the beta site. After a quick installation, the Mix toolbar is directly added into PowerPoint’s menu bar. Functionality includes embedding video and audio clips for each slide in the deck. I wanted to take some time and reflect on my experiences at the Microsoft E2 conference now that the school year is concluded. I had a blast today at the Microsoft EDU Summit in Windsor! It was a great day with many great speakers including D.J. Cunningham and Nicole Bell from Learn Style. Interesting conversations around differentiated instruction and how we use multiple learning styles (visual, sequential, audio/oral kinesthetic) to engage and inspire our students. Office 365 and OneNote were used as solid examples of cloud based tools in an ever increasing BOYD learning environment. 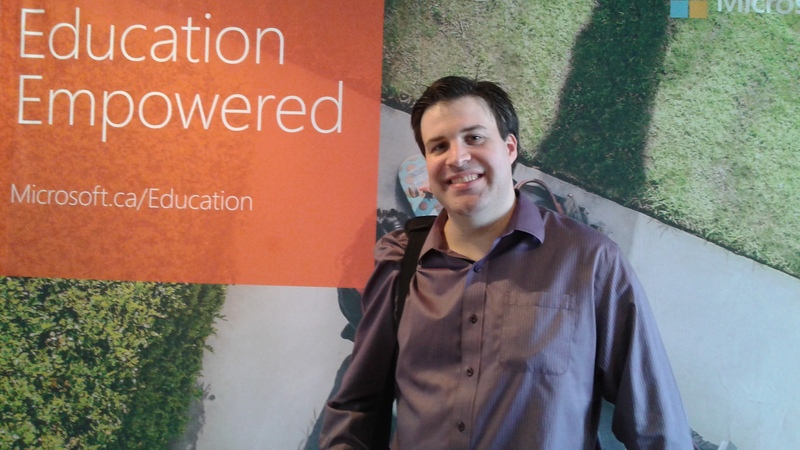 I had a blast at the Microsoft EDU Summit in Windsor! The conference was a great opportunity to network with colleagues of the GECDSB and technology enthusiasts alike. I recently had an opportunity to experiment with Office Sway, a cloud based application that allows users to create, share, and embed presentations. My first impression of Sway is an easy to use tool that is cross platform compatible across multiple devices. Setting up my first Sway was an easy process. Users can add and manage existing work with a few simple clicks. Business students are now in the process of completing their final summative evaluations. 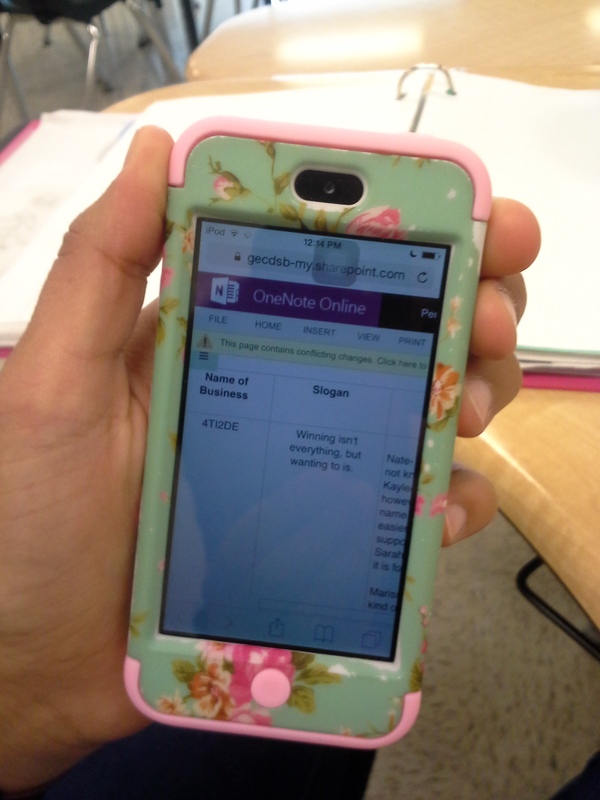 Learners are using personal technology devices to encourage idea sharing and constructive feedback using familiar forms of mobile technology. My goal is to extend learning outside the traditional classroom. Teaching in “desktop” computing environments highlighted my early teaching career that included static workstations that looked very similar to classrooms of my own generation. This far too familiar environment provided the internal motivation I needed to learn new trends and ways of teaching in my classroom. Today’s lesson was to introduce my grade 9 business students to their final summative evaluation (FSE) project. I was also pleased to have Sharon Hill from the Windsor Star to view the lesson! As I think about learning goals to accomplish during my time with the Microsoft Innovative Expert program, I begin to reflect on my teaching practice. This specifically includes how I’m using technology to increase student achievement. The achievement piece is important because my school board’s improvement plan focuses on learning in math, primary reading, creative/critical thinking, resiliency, and closing the achievement gap for students at risk. My experience with Microsoft based products has been extensive since my earlier career in the private I.T. sector. 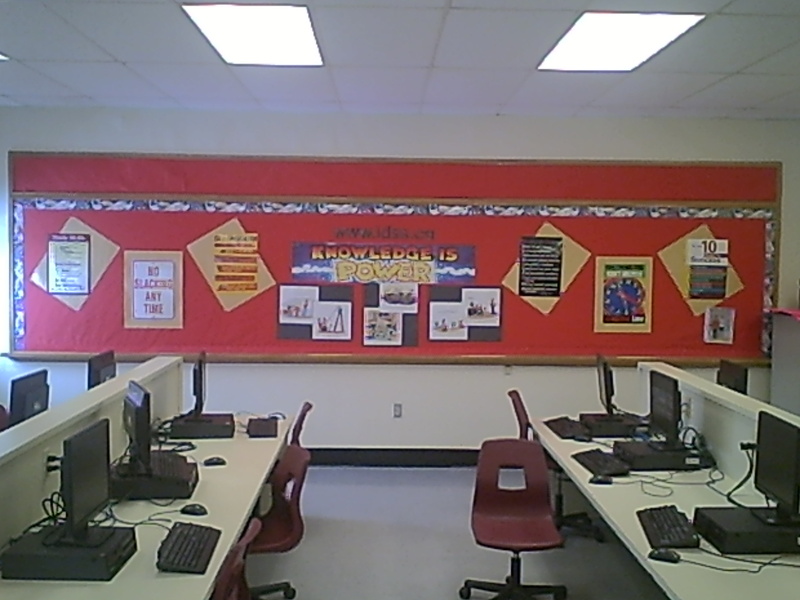 Since becoming an educator in 2005, my prior knowledge was invaluable as Microsoft operating systems and productivity software comprised a large percentage of computing resources in the board. My name is Andre Quaglia and I have been a professional educator since 2005. I am currently a secondary school teacher working for the Greater Essex District School Board, Ontario, Canada. My teachable subjects are Business Studies, Cooperative Education, and Geography.